We're having our Thanksgiving dinner tonight since part of my family will be out-of-state over the Thanksgiving holiday. I bought a bottle of Saison Dupont to serve with dinner, along with white wine for those who preferred wine. 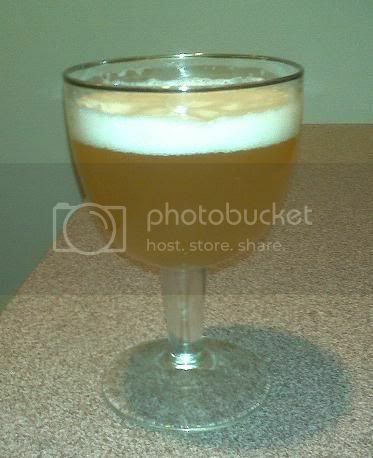 My daughter and I both thought the Saison Dupont went very nicely with dinner. The crispness of the SD was a nice counter point to the rich and sweet foods normally served with Thanksgiving. If you think you'd like to serve a beer with yout Thanksgiving dinner, this seems like a very nice choice. got one chilling for Thanksgiving. Might have to pick up another just in case. The Saison Dupont was really top notch. First time I had it, but won't be my last. Bet it would be nice for a summer dinner on the patio too.